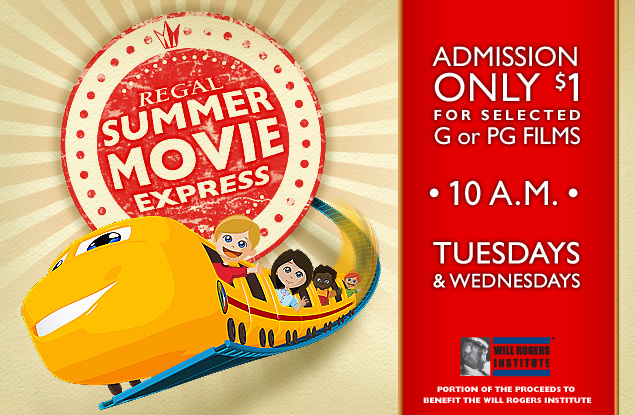 Moviegoers of all ages can climb aboard the Summer Movie Express to enjoy a great selection of films. 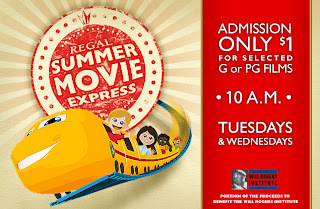 During this 9-week festival, participating Regal Cinemas, United Artists and Edwards Theatres will offer selected G or PG rated movies for only a dollar on Tuesday and Wednesday mornings at 10:00. A portion of proceeds from the Summer Movie Express will be donated to the Will Rogers Institute.